“No one who works a miracle in My name can soon afterward speak evil of Me. For he who is not against us is on our side” (Mark 9:39-40). “He who is not with Me is against Me, and he who does not gather with Me scatters abroad” (Matthew 12:30). Who is on our side and who isn’t? Who is considered a friend and who an enemy? The Lord’s disciples were concerned because a man was casting out demons in His name, but wasn’t part of their group. They were so concerned that they told him that he had to stop. The Lord gently corrected their perspective. The natural human mind has a difficult time with differences. One of its tendencies is to be suspicious of differences. For example, most children go through a period when they react skeptically or negatively if something new and different is served for supper. While many outgrow this particular response, we can continue to react in similar ways throughout our lives. The perception of differences is an interesting phenomenon. We know that strong contrasts in color or illumination are easy to distinguish, but subtle variations are almost impossible to separate, especially when they are not paired immediately with each other. And we know that variations can be subdivided an amazing number of times. For example, in a political election several candidates can all call themselves conservative politicians, but within this group each one will work to describe him- or herself as the “good kind” of conservative, and the other candidates as representing opposing positions of being too moderate or too extreme. The attempt is to convince the voters that one candidate has a better set of policies or a better fundamental view than the others. In order to convey this idea, contrasts are emphasized to show that one is better than others. A fundamental teaching of the New Church is that variety is an intentional part of creation. We are told that the variations among people mirror the infinite things that make one in the Lord (see DLW 21). We are told: “An image of the Infinite and Eternal in the variety of all things is apparent in this, that there is not one thing the same as another, nor can there be to eternity. This is manifest to the eye in the faces of men from the beginning of creation, and equally so from their minds (animus) of which their faces are images; and also from their affections, perceptions and thoughts, for the mind consists of these. Hence it is that in the universal heaven there are not two angels or two spirits who are the same, nor indeed can there be to eternity; and so it is with every object of sight in the two worlds, the natural and the spiritual” (DP 56). The Lord loves variety because when a variety of people or things works together in harmony, there is greater perfection than can be achieved any other way. In a harmonious system the ecology of different things working together benefits them all. And the greater the variety, the greater the benefit. So communities in heaven are always made more perfect when new angels join them. Each individual in the community is better served by the increase in variety, and the community is better able to perform its function. Consider that when a human being is first conceived, he or she exists as a single cell. Within that single cell there is the blueprint for the whole human body, but it doesn’t exist in any recognizable form. The first stages of development occur when this single cell divides and redivides many times. For a time all that is produced is a small cluster of cells each of which is just like the other ones. Then a wonderful thing happens whose mechanism challenges the scientists who study it. The cells begin to specialize. Distinct differences appear among cells. Early in the process there still is no appearance of the human form as we know it. But gradually with increasing differentiation, the form of the yet unborn child takes a recognizable appearance. This same kind of order exists among people who are led by the Lord from a love of serving others: “If [charity were the essential thing among all people] all would be governed by the Lord as though they were one person, for they would be like the members and organs of one body which, though dissimilar in form and function, still related to one heart on which every single thing, everywhere varied in form, depended. Everyone would then say of another, No matter what form his doctrine and external worship take, this is my brother; I observe that he worships the Lord and is a good man” (AC 2385:5). The Writings of the New Church make a very strong point about differences that can exist among churches: “In the Christian world it is their doctrines that cause churches to be distinct and separate, and because of these they call themselves Roman Catholics, Lutherans, Calvinists or the Reformed and Evangelicals, among other names. It is solely by reason of their doctrines that they are called by these names. This situation would never exist if they were to make love to the Lord and charity toward the neighbor the chief thing of faith. In this case their doctrinal differences would be no more than shades of opinion concerning the mysteries of faith which truly Christian people would leave to individual conscience, and in their hearts would say that a person is truly Christian when he lives as a Christian, that is, as the Lord teaches. If this were so, all the different churches would become one, and all the disagreements which stem from doctrine alone would disappear. Indeed the hatred one person holds against another would be dispelled in an instant, and the Lord’s kingdom on earth would come” (AC 1799:4). In human communities like this congregation, variety working in harmony also produces a far better result than uniformity. Each of us is created to be different in so many ways. Fundamental aspects of our personality began to show themselves in our very early infancy. Experience and specific education further molded and shaped our perspectives. The Lord does not intend us to be the same as each other, and if we are too similar, there are many useful things that will not get done or will not be done as well as they could be. Variety is wonderful, but there are differences that destroy rather than enrich. We know very well that not all perspectives or inclinations that come from the human heart and mind are beneficial. There is such a thing as evil. Sometimes evil can subtly and quietly make tiny alterations in things and sometimes it can be horribly destructive. “The Lord cannot possibly be present with someone whose end in view is his own good. That which is a person’s own excludes the Lord; for in so doing it diverts and directs toward itself the common good of society, that of the church, and indeed the Lord’s kingdom, even making these exist so to speak for its own sake. Thus it takes away from the Lord that which is His and substitutes itself. And when this is the prevailing attitude with a person, the same is the case in each one of his thoughts, and indeed in the smallest details of his thoughts” (AC 1316:1). This prevailing attitude is sometimes called a person’s ruling love. It is the fundamental goal of a person’s life, and each of us is ever more clearly defining our fundamental goal with the decisions we make, the values we give life to, the thoughts that we foster within our minds. This fundamental goal in our life or our end in view at any particular point in our spiritual journey directs every least thing that we think, say or do. It is impossible for us to sense that this is the case, but it is nevertheless true. “Whatever his thoughts and deeds may be, varying in countless ways, they are all good provided the end in view is good. But if the end is bad everything is bad. The end in view controls every single thing a person thinks or does … A person’s end in view is his very life. Everything he thinks and does receives its life from the end, for … it is determined by the end. As is a person’s end in view, therefore, so is the life within him. His end is nothing else than his love, for nobody can have as his end in view anything other than that which he loves” (AC 1317). The Lord has given us the Word to help us recognize good and bad things that we may think, say and do. He has given us the Word to help us recognize the ends that can be guiding our lives. If we learn from the Word and prayerfully seek the Lord’s guidance in leading a more useful life, He will lead us without fail on our pathway to heaven, and He will lead us to work together in harmony with others. In contrast, learning from the Word without a desire to help others can increase our tendency to separate from and condemn other people. We are told: “[T]hose who possess doctrine yet lack charity … dispute everything and condemn anyone who does not speak (though they say it is to believe) as they do” (AC 1798:5). A key measure of whether we are being led by the Lord is the degree to which we are led to empower others to do what they do best. Charity rejoices in increasing the capability of others to be of service while evil tends to restrict that capability in others. “The sphere of someone [in the next life] who in every respect regards himself takes to itself or … absorbs everything which gratifies it, thus takes to itself all the delight of the [people] surrounding him. It also destroys all the freedom they have. … When, however, [the common good of all is regarded], one person never takes to himself the joy of another or destroys the freedom of another, but as far as he can he furthers and increases it” (AC 1316:2). As we live our lives, we will see many differences between ourselves and other people. May we, as individuals and as a congregation, work to see the Lord’s presence in so much of the variety that exists in this world. May we try to do our part that He can lead us to work together in the harmony that will make this world more like His heavenly kingdom. Amen. As regards the first Ancient Church, in that although it was so widely spread over the earth it was still one in lip and one in worlds, that is, one in doctrine in general and in particular, when yet its worship both internal and external was everywhere different as shown in the preceding chapter, where by each nation there named a different doctrinal and ritual were signified the case is this. In heaven there are innumerable societies, and all different, and yet they are a one for they are all led as a one by the Lord, concerning which see what has been said before (n. 457, 551, 684, 685, 690). In this respect the case is the same as it is with man, in whom, although there are so many viscera, and so many little viscera within the viscera, organs, and members, each one of which acts in a different way, yet all and each are governed as a one, by the one soul; or as it is with the body, wherein the activities of the powers and motions are different, yet all are governed by one motion of the heart and one motion of the lungs, and make a one. That these can thus act as a one comes from the fact that in heaven there is one single influx, which is received by every individual in accordance with his own genius, and which influx is an influx of affections from the Lord, from His mercy, and from His life; and notwithstanding that there is only one single influx, yet all things obey and follow as a one. This is the result of the mutual love in which are they who are in heaven. The case was the same in the first Ancient Church, for although there were as many kinds of worship some being internal and some external as in general there were nations, and as many specifically as there were families in the nations, and as many in particular as there were men of the church, yet they all had one lip and were one in words; that is, they all had one doctrine, both in general and in particular. The doctrine is one when all are in mutual love, or in charity. 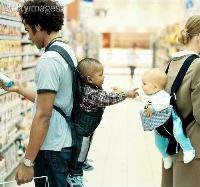 Mutual love and charity cause them all to be a one although they are diverse, for they make a one out of the varieties. All men how many soever they may be, even myriads of myriads, if they are in charity or mutual love, have one end, namely, the common good, the Lord’s kingdom, and the Lord Himself. Varieties in matters of doctrine and of worship are like the varieties of the senses and of the viscera in man, as has been said, which contribute to the perfection of the whole. For then, through charity, the Lord inflows and works in diverse ways in accordance with the genius of each one; and thus, both in general and in particular, disposes all into order, on earth as in heaven. And then the will of the Lord is done, as He Himself teaches, as in the heavens so also upon the earth.